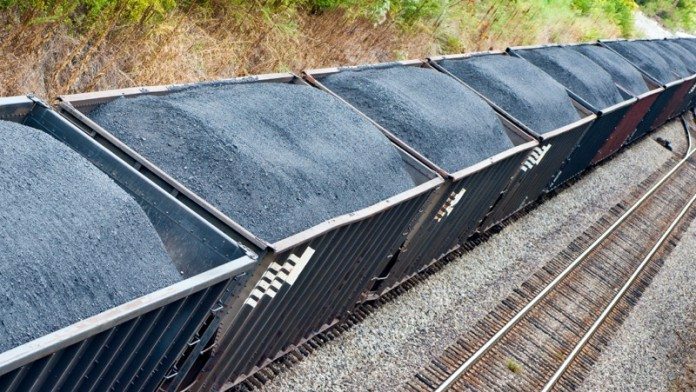 EXXARO Resources will send a “test train” carrying coal to Eskom power stations in Mpumalanga province from its Waterberg operations in the Limpopo province in an effort to relieve pressure on the utility’s coal procurement requirements and whilst technical problems at Medupi power station restrict contracted coal deliveries. “Eskom did not take as much coal as it should in 2018,” said Nombasa Tsengwa, head of Exxaro’s coal business. “We have got clear remedies in our contracts which allow us to re-direct coal to Matimba [power station, near Lephalale in Limpopo province] and take-or-pay,” she added. “But Eskom asked us to redirect coal from the Waterberg to Mpumalanga and we are helping them in this regard. We will send a test train to Mpumalanga to see how that works,” said Tsengwa. The arrangement is a cooperation between Exxaro with Transnet Freight Rail (TFR), a unit of Transnet, the state-owned transport company. Eskom acknowledged in February that it would conduct an audit into design and operational faults at Medupi and Kusile, its new-build projects. The audit would include setting “… realistic targets” on the date of the projects’ full commissioning. Tsengwa was commenting in an interview following the publication of Exxaro’s full-year results announcement in which core earnings before interest, tax, depreciation and amortisation (EBITDA) increased marginally to R7.28bn (2017: R7.2bn). On a headline earnings basis, excluding exceptional items such as the R4.34bn cost of Exxaro’s replacement empowerment deal, the 2017 comparative headline earnings number was R1.5bn. The improvement was based on higher earnings from coal. The international coal market was buoyant last year. Exxaro took exports to a record eight million tonnes (Mt), helped by a doubling of buy-ins, and a realised average price per tonne of $77 compared to $69/t in the previous financial year. The company generated 7% more cash from operations, but its net debt increased to R3.9bn as of December 31 from net cash of R69m, partly representing high capital intensity as Exxaro worked on its Belfast, GG6 and Grootegeluk rapid load out projects during the period. Nonetheless, Exxaro lifted the dividend. A final cash dividend of R5.55 per share was declared taking the total dividend to R10.85/share, an increase of 55% year-on-year. This was partly by dint of the company – as it said it would do – passing through the dividend from its 20.62 stake in Sishen Iron Ore Company (SIOC) which totalled R2.6bn during the financial year. Exxaro has ambitions to flip-up its stake in SIOC into shares in Kumba Iron Ore which is the majority holder of the iron ore subsidiary company. “We hope to have that conversation in the current financial year,” said Mxolisi Mgojo, CEO of Exxaro. He declined to comment on speculation linking Exxaro with South African Energy Coal, the 28Mt per year (Mt/y) domestic and export coal company majority owned by South32. South32 said at its half year interim results presentation in February that it was pressing ahead with the sale of SAEC by short-listing more than 50 interested bids to four to six final contenders. In addition to strong export numbers, Exxaro also reported on robust conditions domestically despite slippages in volumes from its Eskom tied mine – Matla – and lower sales from its commercial Mpumalanga mines, largely ECC. Of concern, however, was community-related unrest which affected work at GG6 and the Grootegeluk rapid load-out station, described by Exxaro in notes to its published financial numbers as having being “… impacted by community and labour related activities in the Lephalale area”. Miningmx reported on March 12 that Glencore, South32 and Anglo American had lost “… up to hundreds of millions of rands per month in revenue” owing to community disruptions described by the industry as the work of thugs using intimidatory tactics in order to secure business from the coal mines. Mzila Mthenjane, head of stakeholder relations for Exxaro, acknowledged the disruptions in Mpumalanga but said the problems in Limpopo province where not a results of lawlessness. “There are some similarities in that communities are looking for employment, skills development but we have not seen the tactics in Mpumalanga”. Mgojo said the domestic coal market was likely to remain in good shape in the current financial year. Eskom was also seeking new contracts, but Mgojo took a bearish view on export coal conditions. “The international market remains largely bearish owing to possible market oversupply which hinges on China and its ban on coal imports,” he said. “An increase in coal demand is expected in India, a market that is likely to remain our main export destination,” he said.